Reports are pouring in left and right that Ditto has, at long last, been added to Pokémon GO. 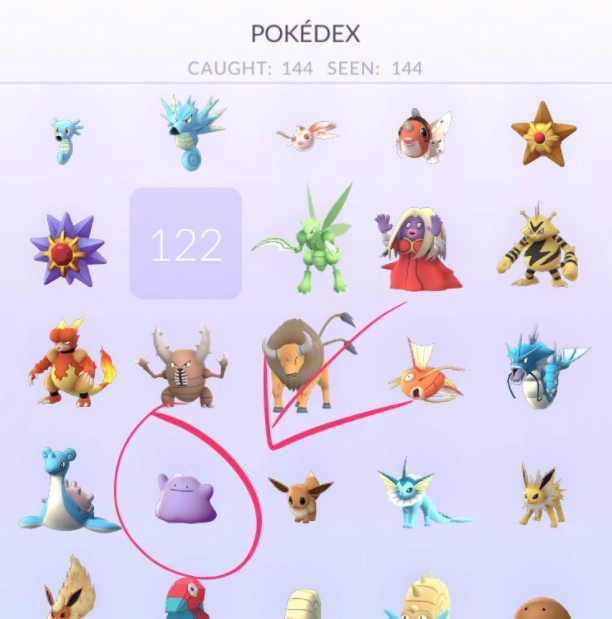 The lil’ purple blob has been curiously absent from the game since launch, but the reason wasn’t too hard to figure out: he has a unique ability (the ability to change into the Pokémon it’s battling) and the code behind it wasn’t quite ready at launch. Why hold the game up for one Pokémon when adding it later would be all the more exciting? The catch: Ditto won’t show up as Ditto on the map. It’ll show up as something else — a pidgey, or a rattata, amongst other common Pokémon — and only once you catch it does Ditto reveal itself. SURPRISE! We wrote about the likelihood that Ditto was just around the corner about two weeks ago. Update: In the off chance you’re worried this is some elaborate hoax, I can personally confirm it’s legit. Had to catch about a zillion pidgies/rattatas/zubats, but it’s definitely real.